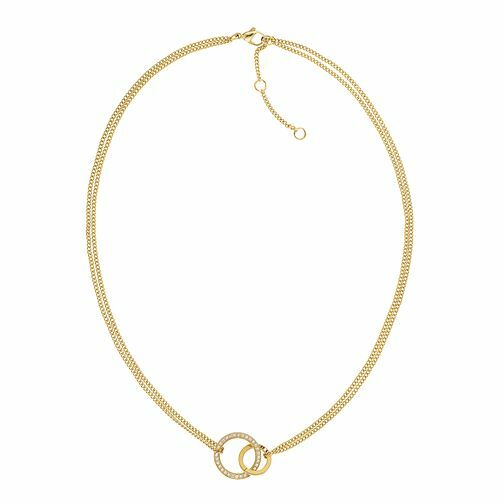 Yellow gold plated, this understated necklace featuresa double fine chain design, presenting a duo of open circle charms. One circle features the Hilfiger flag, whilst the larger open circle is accented with dazzling set stones. A gorgeous accessory to complete the jewellery box.